Since social media is changing so often, it can be hard to keep up with stats and trends that affect how you use it. I quite often forget the facts that I’ve read, or I use Twitter based on stats that are outdated now. 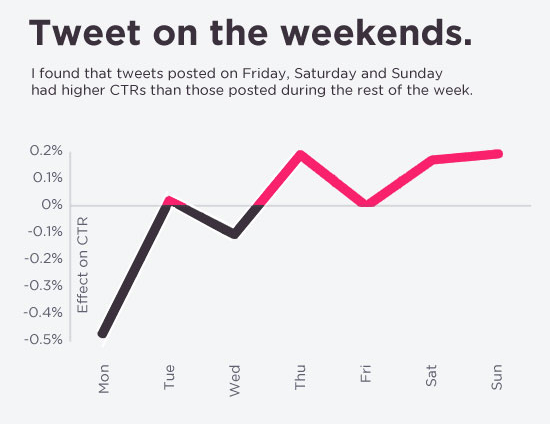 I guess not many people know about this one, because only 19 percent of brands tweet on the weekends. If you’re trying to encourage your followers to engage with you on Twitter but you don’t want to work over the weekend, you could use Buffer to schedule tweets to be sent while you’re having a sleep-in. 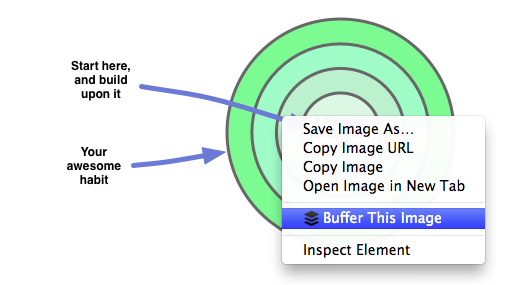 Here’s how you can Buffer images right from the Web. Having said that, keep the hashtags to a minimum. 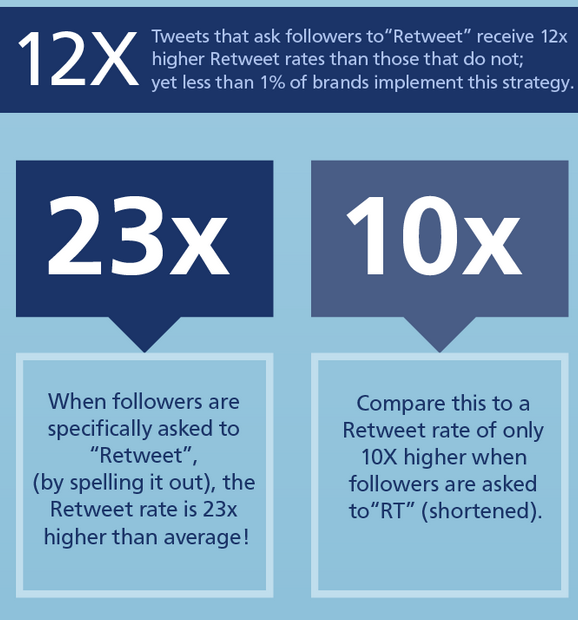 One or two will get you 21 percent more engagement than if you add 3 or more. 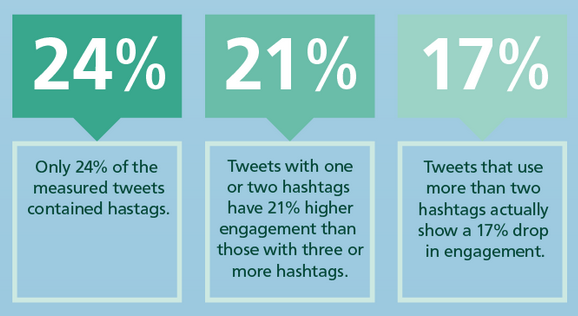 This could be because hashtags often connect a tweet to a particular topic or Twitter chat that others are following or interested in. Keep appropriate hashtags in mind when posting, especially if engagement is something you’re looking to improve. 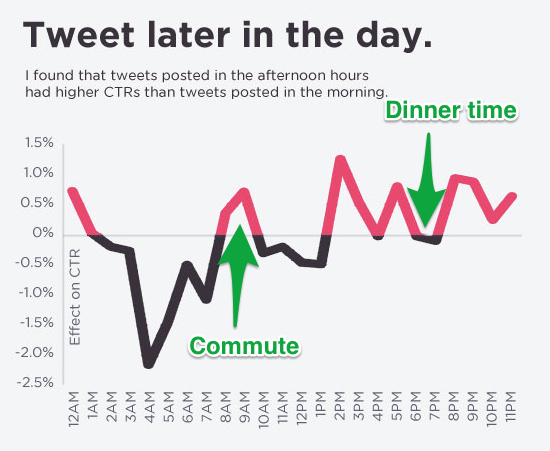 These users are also 119 percent more likely to use Twitter during work or school hours, so don’t write off these times as being no good for tweeting—at least until you try them. Dinner time, on the other hand, is probably not the best time to catch your followers, as you can see in the image below. 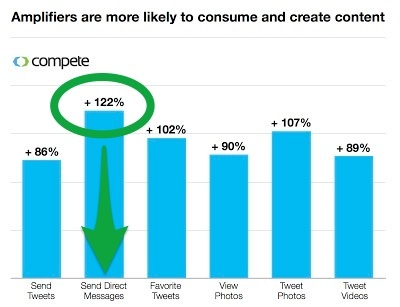 A study by Twitter itself found that amplifiers—that is, users who are more likely to retweet than others, thus amplifying content—are more likely to send direct messages as well. Plus, 90 percent of them tweet about TV shows. This points to the important fact that these users see Twitter as a way to communicate with close friends or family—hence the use of the private option of direct messages—and to talk about their habits and daily activities, such as watching TV. Where to go from here, is the obvious next question. To harness the power of Twitter’s new changes, you might want to take a look at “A scientific guide to posting Tweets, Facebook posts, Emails and Blog posts at the best time“, which is a great resources to get more out of Twitter. 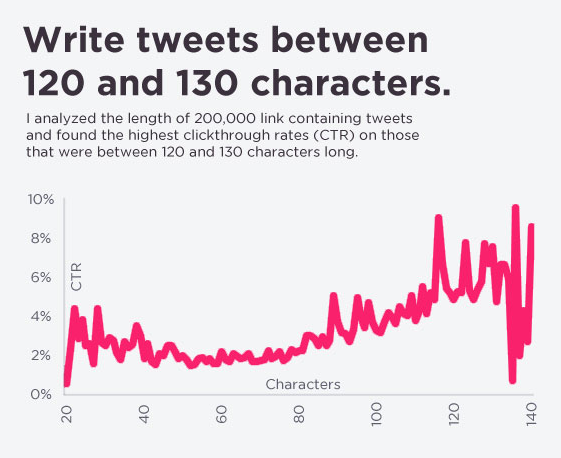 For more advanced Twitter users, the guide to “A scientific guide to writing great headlines on Twitter, Facebook and your Blog” might also be a great place to start.